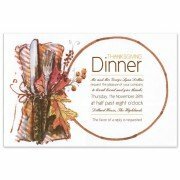 This 5.75" x 8.75" invitation is perfect for any kind of dinner party. White envelopes included. .. 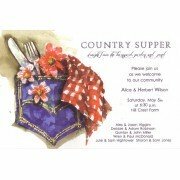 This fabulous 5.75" x 8.75" invitation is perfect for a Low Country Boil, Claim Bake, Dinner Part.. 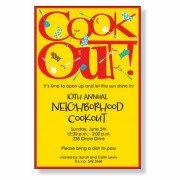 This 5.75" x 8.75" invitation is perfect for a barbecue, cook-out and more. White envelopes inclu.. 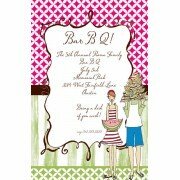 This 5.75" x 8.75" invitation is perfect for a BBQ, couples shower, dinner party and more. White .. 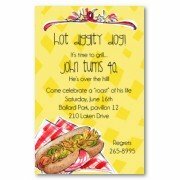 This 5.75" x 8.75" hot dog themed invitation is perfect for birthdays, BBQ and more. White e.. 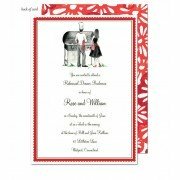 This 5.75" x 8.75" invitation says it all - BBQ - white envelopes included. .. 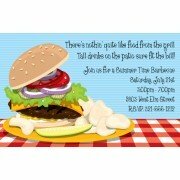 This 5.75" x 8.75" invitation is perfect for a BBQ, dinner party and more. White envelopes includ.. 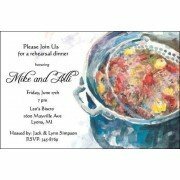 This 5.75" x 8.75" invitation is perfect for a rehearsal dinner, BBQ and more. White envelopes in.. 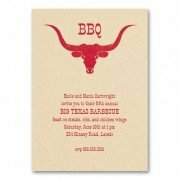 Announce your event on this subtle 5" x 7" Kraft brown paper invitation. This card is perfec.. 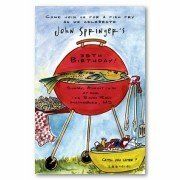 This 6" x 9" invitation is perfect for a backyard cookout. White envelopes included. .. 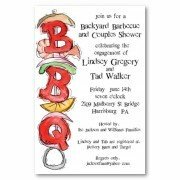 The 5" x 7" BBQ invitation is perfect for a backyard cookout. Blank envel.. 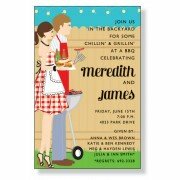 This 5.75" x 8.75" BBQ invitation features a couple on a red and white and green .. The perfect invitation for your backyard BBQ. 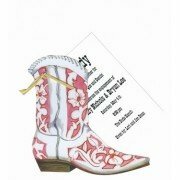 This stylish design is expertly printed on luxuriou.. 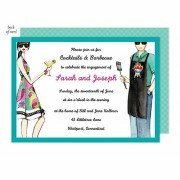 Your party information is printed on a separate 3.5" x 5.5" card that is then attached to t.. 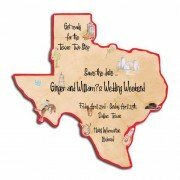 This invitation in the shape of the great state of Texas is perfect for a BBQ, Save the Date, Mov..